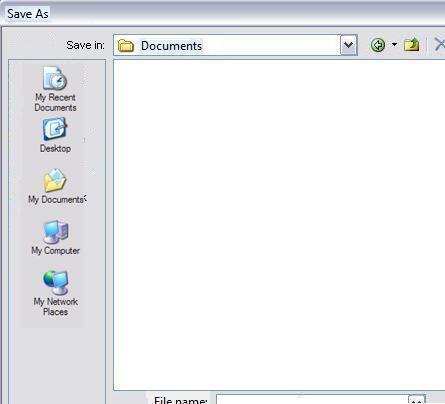 Once we have finished writing our document, it is very important to save it in our computer to be able to use it later. It is also important if we don't want to lose our work as we are writing. 4. The first thing we need to do in this control box is to select the directory or file where we want to save our document. To be able to see the directories and select them, we simply click on the little arrow on the right and we will be able to see the available files or directories where we can save our document. 5. After having selected our destination (file or directory), we name our document, writing it in the space File name. 7. Our document will be saved under the name we chose. This name can be now visible on the upper part of the screen.